Well, Today we’ve decided to published every information that will certainly help get the JAMB 2019 students/candidates ready for the much anticipated upcoming examination, which has been scheduled to be on Feb – March. Candidates should Note that Education On Any Field Of Study will Require the following subjects listed below. ★. And any other Three (3) ARTS Subjects, if your field of study is in the ART Field. Likewise, if You’re a Science Student, You are expected/required to choose any three Science Subjects related to your Courses. 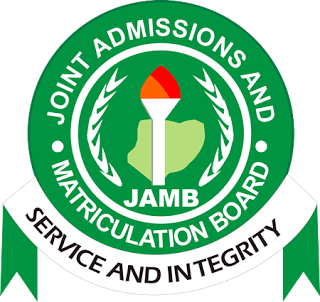 Jamb Subject Combination For Law Course. With any of the subjects mentioned below as makeup subjects. For the Law course mentioned below, for example. Example me Medical/Pharmaceutical Courses are listed below. While you can also use any of the below-mentioned subjects as make subject. You are also offered the opportunity to choose any of the below subjects as makeup subjects. You can either choose any subject below as make up subjects. You can also choose two subjects from the list below. Thanks, please Note that This is the Subject Combination For all Jambites who are preparing to write their JAMB examination. Further Inquires about Your Jamb Course, issues, don’t forget to use the comment form below or the contact us from above. If You’ll love to join us on Social Networks like Facebook, Twitter or Google +, then join us now and you’ll certainly never regret it. JOIN US ON FACEBOOK ⇒⇔ JOIN US ON TWITTER. after this 2013 jamb utme, will there be anyother next year 2014? Can one put in Use of English, Mathematics, Economics, Commerce as subject Combination to study Economics in Osun State University pls? Is it possible to gain admission into Computer Science, Bayero University Kano with f9 in Maths? can one go to the university with nd result with pass? Can one study law at DELSU in a part time way? I want to study political science but I don’t know there work pls can u help me out to explain to me….. for me to understand and number should I get in jamb to enter university for ebony state…. thank u so much for understanding me…….. I want to register for elect elect. I will like to choose: English, mathematics, physics and agriculture. Please is that right.